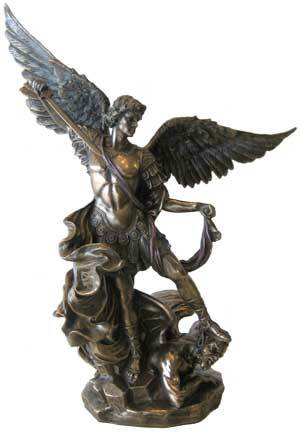 This statue is a beautiful St. Michael statue from the Veronese series. Resin dipped in bronze and lightly hand-painted. Modeled after the original altarpiece which currently resides in the Church of Santa Maria Della Concezione, Rome. 1626. 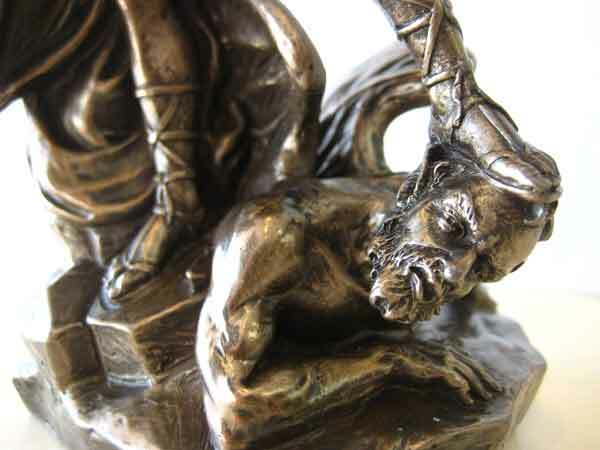 The statute shows St Michael casting satan out of heaven. St Michael is the patron saint of police officers, soldiers, EMTs, sailors, swordsmiths and the ill. This statue is a piece of art that will grace your home and remind you of God's protection through the Archangel Michael. A good gift for those being confirmed or in the RCIA program who have chosen the name of Michael as their patron.